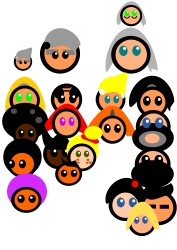 Welcome to the Ellastone Village website! We are also on and Twitter. NEWSRAC: April delivered free to homes in Northwood, Ellastone, Wootton, Stanton, Ramshorn. Emergency Numbers – supplied by Parish Council. Latest: EUROPEAN PARLIAMENTARY ELECTION Notice of Election 2019 for the West Midlands - THURSDAY 23 MAY- if you would like to be a candidate please click the link. In line with church bells all over the country our own bell ringers will be tolling one of the bells at St Peter’s on Thursday at 7pm for 7 minutes in sympathy for Notre Dame. What a night! 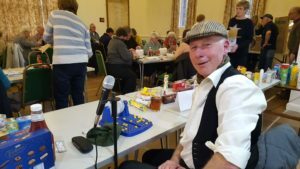 180 eyes of all ages were ‘Down’ on Saturday April 13th in Ellastone Parish Hall for the Fish and Chips and Bingo. Ed Barker (Mr Bingo himself) held us all in order. There were loads of excellent prizes. All proceeds went towards St.
Peter’s Church roof repairs. Many many thanks to Ed and to all those who helped organise and run this highly successful event. Also, thank you to so many people for staying behind to clear up at the end – it went really smoothly. Great event in a great village! Local villagers celebrated a very special milestone on Saturday 6th April. One hundred years ago the people of Ellastone had the Parish Hall returned to them after 5 years of service as a local auxiliary hospital during WW1. This special occasion (click to see the video) was marked with a ceremony to commemorate the moment when, on April 4th 1919, the Parish Hall was handed back by the Red Cross. Please send in your photos of the event. In order to raise funds for the Parish Hall in Ellastone, a quiz will be held on Friday 26 April in the Parish Hall, starting at 7.30pm, cost £2.50 per person, including light refreshments, but, as usual, please bring your own drinks. Teams of four ideally, but we can be flexible! Please book with Hilary Dowson on 324350, or Kaye Burnett 324750 and we look forward to seeing you there. NOTICE is hereby given that the Staffordshire County Council on 9 April 2019 made an Order the effect of which will be to prohibit any vehicle from proceeding in that length of Stanton Lane in Ellastone from a point just north of Northwood Lodge for a distance of approximately 130 metres in a northerly direction unless the vehicle is being used in connection with the works; or unless the vehicle requires access to premises on the length of road or is being used for police, fire brigade or ambulance purposes. The order will come into operation on 16 April 2019 and the said works will commence on or as near as practicable to that date. It is anticipated that the works will be completed by 23 April 2019. The Order will remain in force for a period of 18 months, or until the drainage works, which it is proposed to carry out on or near the road have been completed, whichever is the earlier. The next date will be Monday 29th April at 2.30 in the Parish Hall. Cost is £2 per person and includes tea and biscuits. This club is open to beginners, improvers and hardened experts! Contact: jim.murdock15@gmail.com or phone 01335 624979. We would like to invite you to come along to the club in Church Lane between 2pm and 4pm to learn about how the game of bowls is played. Members will be on hand to tutor anyone who would like to learn, with tea and biscuits. We don’t play in any leagues but have friendly games with teams in and around the area on Wednesday evenings and Sunday afternoons. All we ask is that you wear flat shoes. What’s happened to the red telephone box? Some residents will have noticed with regret the old red telephone box being removed from the Main Road. The Parish Council did look into acquiring it and adapting it for community use, as has been done so effectively elsewhere in the locality. However, as it was on private land, this was not possible. The next meeting of the Parish Council will be on Wednesday 27th March at 7.00pm in the Parish Hall. 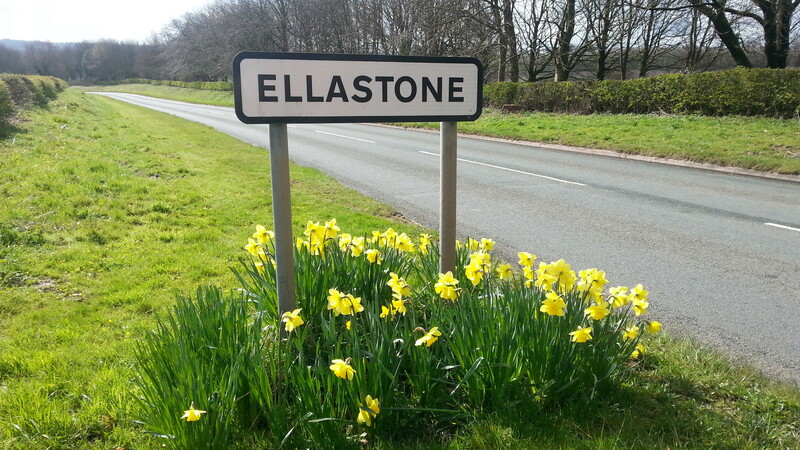 Ellastone will shortly have a bell-ringing band again! A group of 6-8 locals are currently learning to ring the church bells under expert tutelage via the North Staffordshire Association of Change Ringers. Perhaps you have heard them practising Monday afternoons 2.00 to 4.00 pm – !!? They are also ringing Wednesday afternoons with the bells tied (no noise), until they feel more competent. The target is to ring formally for the first time for the Easter Sunday service. More ringers are needed to insure cover. The practice time is negotiable if an afternoon is unsuitable. If you are interested contact: louparlett@hotmail.com using bell ringing as the subject. YOGA for Health in the Parish Hall – Mondays 10.15 (for a 10.30 start) until 12.00, including 10 minutes warm-down session. Further Reading: Click on the the titles: Why is Yoga so Good for You? and NHS a Guide to Yoga. See the webpage for details. Indoor Bowls – it’s on Fridays in the Parish Hall at 19:00 with a charge of £2:00 per head. Tea and biscuits provided. There will always be a very warm welcome to new members. 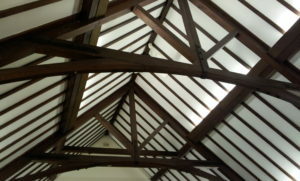 If you would like to hire our beautiful old Parish Hall for meetings or social occasions please press the link. The hall is fitted with wireless Internet. The Parish Hall is a building with a special history including, of course, its time as a hospital during the First World War. There is a project ongoing to document the history and there is a lot of information available up to the end of the Second World War, but little after this. It may be that there is an old minute book (or books) of meetings languishing in someone’s attic. If anyone has any information or old photos would you please let us know. Thank you. Tennis Club: You can find out all about the club by pressing the link or going to the Ellastone Tennis Club Facebook page. Read about the new court fencing. Monday Club starts at 2.30pm in the Parish Hall on the first Monday of every month except January and the £2 admission includes tea and biscuits and a raffle ticket. The Monday Club is a social event for all ages with a varied collection of speakers. Most importantly, it gives people the opportunity to meet up once a month and have a chat over a cup of tea and a biscuit – so do please come along or perhaps offer someone who lives near you a lift so that they can have an afternoon out. We are on the look-out for a new secretary to the Club. If anyone is able to help, please speak to Michael on 324227 or Hilda on 324203.
to the Parish Council and, whilst it has decided to raise slightly more money ( a few pounds a year), its charge will still remain low compared with most other parts of Staffordshire. Snooker and Billiards are available in Ellastone at the “Reading Room”. 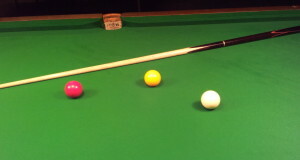 Situated adjacent to the Parish Hall on Church Lane and built in 1897, the Reading Room has a fullsize table available for Snooker and Billiards. Membership. It costs only 50p per 20 minutes play. The room is also ideal for meetings and events and costs £10 for a meeting or £20 for an all day booking. If you want further information, please contact Arthur or Hilda Tideswell on 01335 324203. 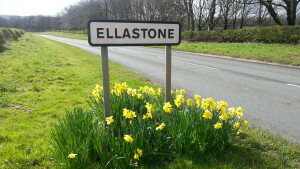 A reminder that Ellastone is able to access fast broadband. To find out if you are able to receive the enhanced service, you can put your postcode into the linecheck. If your address is listed as receiving the faster broadband then you should speak to your service provider about signing up for the fibre service. Many thanks to everyone who has fought to get this facility and especially to our MP Andrew Griffiths for his assistance in this matter. If someone has a heart attack, or you suspect that is the case, you should phone 999 and they will provide the code for the box along with instructions as to what to do. If you would like more details press here. Mobile Post Office – The Post Office in Ellastone is in the Reading Room, adjacent to the Parish Hall on Monday and Thursday from 9.00am until 12.00 noon. We have had quite a few enquiries from people researching their family tree. We have now set up a Genealogy page. If you have any useful information please let us know. If you would like us to put something onto the diary then please send us an email. Everything that we publish is done in good faith. If you notice any mistakes, then please send us an email.